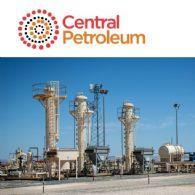 Central Petroleum Limited (ASX:CTP) provides the Company's latest presentation. "A unique opportunity to participate as a shareholder in an NT on-shore oil & gas producer in the early stages of transformative growth driven by the new NGP access to the significant and lucrative Australian east coast gas market"
Central Petroleum Limited ( ASX:CTP ) is an oil and gas explorer and producer listed on the Australian Securities Exchange focused on supplying the domestic gas market. Central is advancing several separate projects across what is regarded as the biggest package of proven and prospective oil and gas acreage across central Australia. This spread of assets gives Central multiple options for growth and development. 88% of this land being gas prone has led to the Company's focus on becoming a major domestic gas producer.